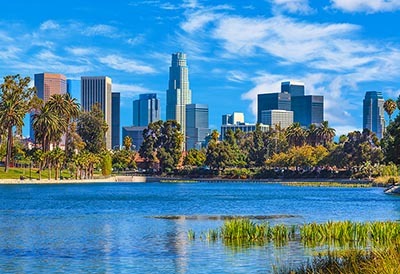 Los Angeles ranks as America’s second most-competitive real estate market based on the number of buyers who get preapproved for a loan, have the best credit scores, and place the largest down payments. San Francisco is the country’s fourth most-competitive market for home shoppers. Buyers in No. 5 San Jose tie for the nation’s largest average down payments (65 percent) and amount of buyers with prime credit ratings (19 percent). Anyone who is searching for a home in a major Golden State job market as 2019 begins would be wise to shop around for a mortgage before finding a property they like, maintain a sterling credit score, and amass a sizable down payment if they hope to compete with other buyers. That’s according to a new analysis by LendingTree Chief Economist Tendayi Kapfidze, which ranks America’s 50 most-competitive housing markets based on the aforementioned three criteria using 1.5 million purchase loan requests that came through the company’s website in 2018. Kapfidze notes that he chose those three criteria because most Americans cannot afford to pay for their homes with all cash. Los Angeles ranks as the nation’s second most-competitive housing market behind Denver, with the average buyer placing a 55 percent down payment. Sixty-four percent of buyers in Los Angeles comparison shopped for a mortgage before identifying a suitable home, and 17 percent had prime credit scores, defined as 680 or higher. San Francisco homebuyers made average down payments of 59 percent, helping to make it America’s No. 4 most-competitive real estate market. Sixty-two percent of San Francisco homebuyers researched mortgage options before starting their search, and 17 percent of them had good or excellent credit. Buyers in No. 5 San Jose placed 65 percent down payments, tied for the most in the country with those in Seattle. Those two West Coast technology hubs also tied for the highest percentage of buyers with prime credit ratings, at 19 percent. In a statement accompanying the report, Kapfidze stressed the importance of doing mortgage research before starting a home search, particularly given that inventory — while rising — remains low by historical standards.